A home is more than just a collection of rooms and materials. It should be a unique extension of you. It is where you live, where you share your life with others, and where you express your style and personality to all who enter. The question is, how do you make it a true reflection of who you are? Whether you're creating a new home or renovating your existing home, JP Compass can guide you through a design process that transforms your dream into reality. 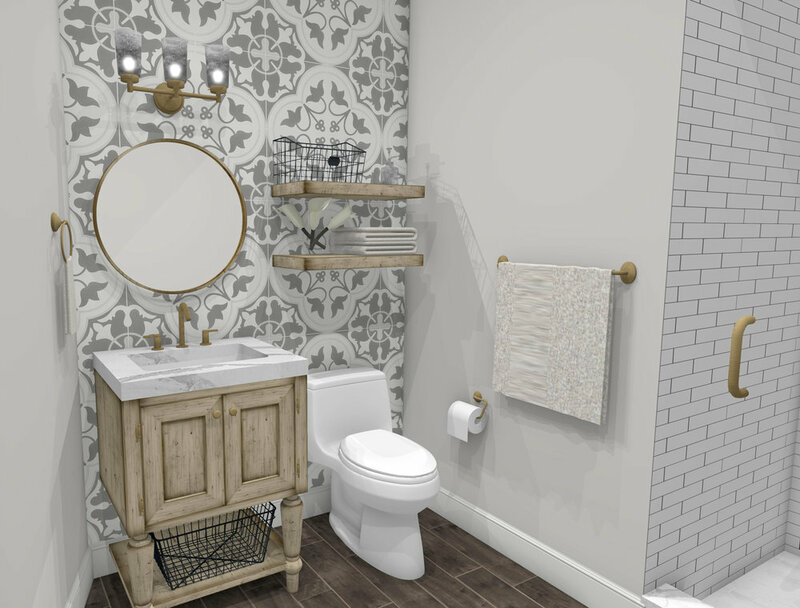 Develop multiple concepts for your space with 3D renderings. Present a final 3D design with integrated selections and a comprehensive project budget. Deliver a detailed drawing set along with permit approvals. Our objective is to provide a level of comfort and ease within the decision making process. A curated design profile is developed for each client through a comprehensive 23 point survey and a follow-up discussion. This discovery phase explores the client's design taste and allows JP Compass to truly understand how to customize the project to each client's personality. Take a look inside one of our kitchen results! Based on our in-depth evaluation, JP Compass Design develops several options for the client to explore. They walk through these options at our design studio, ensuring an immersive and instructive design experience. Critical project selections which define the space and impact the project timeline and cost are also discussed. This can include plumbing fixtures, tile, lighting, cabinetry, stone, and depends on the space and scope of work. With the key selections in mind, the design can be further refined. Specifics such as trim profiles, cabinet details, and color are explored and confirmed. Selections are established in our 3D renderings and presented as a unified design for your final approval. With a more detailed budget, final design changes can be made to satisfy both the design intent and the budget constraints of the project. View Licata-Wesley_2017-02-10_Kitchen-02 in Chief Architect’s 360° Panorama Viewer. We create the official drawings to facilitate a project estimate, procure any permits required, and guide the construction process. These drawings are stamped and submitted to the key project stakeholders, with a copy going to you for your records. With clear direction and budget established, the interiors process can begin. Throughout the interiors phase, our objective is to provide a level of comfort and ease within the decision making process. Our Interior Designers work side by side with you to guide you towards a clear finish palette tailored to meet your personal design style. JP Compass Design transitions seamlessly into the construction phase without sacrificing the importance of the design.